Emirates has joined forces with some of its key partners to launch the ‘Together’ initiative, which aims to improve the traveller experience at its hub, Dubai International (DXB). Working in collaboration with Dubai Customs, Dubai General Directorate of Residency and Foreigners Affairs (GDRFA), Dubai Police and Dubai Airports, the airline is seeking innovative and practical ways to boost customer satisfaction, based on the six ‘Ss’ - Smart, Speed, Saving, Service, Safety, Security. Emirates has already staged two meetings at its Dubai headquarters where representatives from each partner organisation reviewed field data on travellers’ key touch points and evaluated a suite of recommendations for implementation in the short and medium term. Matters discussed ranged from simplifying passenger check-in processes and baggage drop-off and tracking, to using advanced technology to encourage the smooth flow of passengers through the terminal. The team will now conduct a series of workshops to agree priorities and put a plan in place. The working group will also look at future goal posts in line with Dubai’s 10X programme, which sets out a mandate to generate innovations that will put the city 10 years ahead of other global cities. 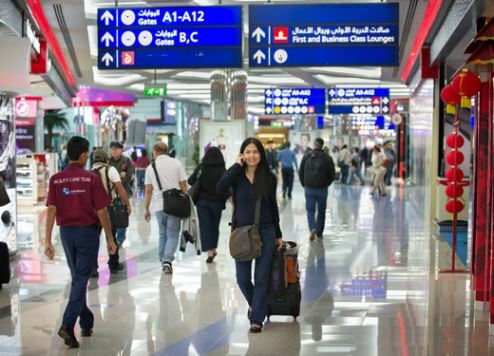 “Last year, over 57 million passengers flew on Emirates, to Dubai or through Dubai, and that number continues to grow. To us, the hub experience and sustaining our growth is very important,” said Adel Al Redha, Emirates’ executive vice president and chief operations officer.